Stavros Kromidas studied biology and chemistry at the University of Saarbrücken, where in 1983 he obtained his Ph.D. degree on the development of new chiral stationary phases for HPLC. After working for Waters GmbH for five years, he founded NOVIA GmbH, a provider of professional training and consulting in analytical chemistry, serving as the CEO until 2001. Since 2001 he works as an independent consultant for analytical chemistry, based in Saarbrücken (Germany). 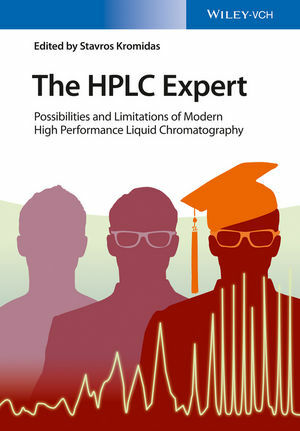 For more than 20 years he has regularly held lectures and training courses on HPLC, and has authored numerous articles and several books on various aspects of chromatography.